In the world of reverse engine swaps, I love nothing more than an electric swap where at first glance it seems like a good idea (torque in off-road situations is good), but through further analysis...the consequences of running out of juice involves death via exposure. 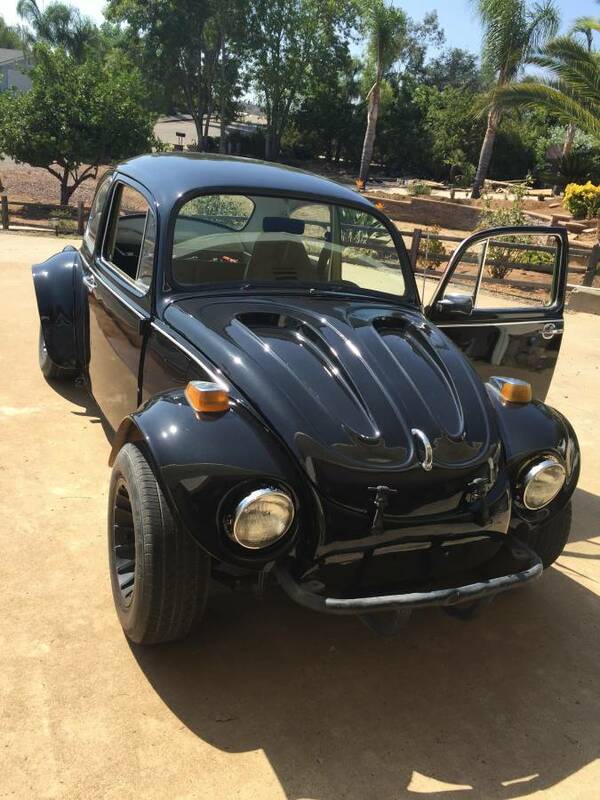 Find this 1968 Volkswagen Beetle Electric Baja offered for $10,000 in Jamul, CA via craigslist. Tip from Rock On! Smart car seats...no rear seat but I have it if you want it. New paint job and rear shocks. It runs but there is no clutch. I shift on the fly. I have a rear cowling, front shocks, side steps, and a new speedometer cable that haven't been installed yet. 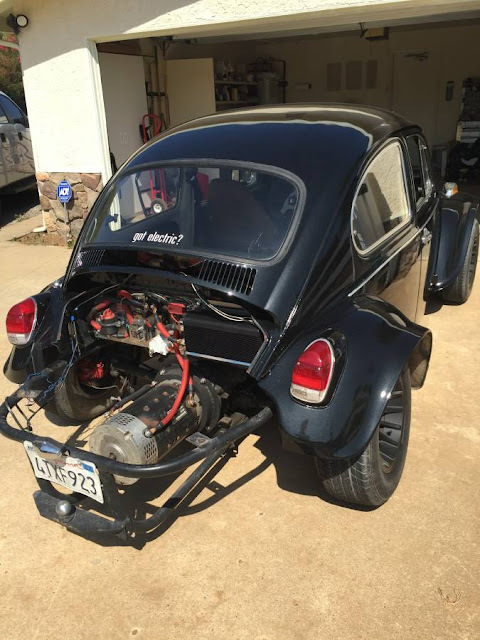 This was a project car that I no longer have time for and need the money for the bills. Serious inquiries only. I don't need help selling so don't ask. Please text only after 12pm Saturday thru Tuesday. Can text daytime hours wed thru Friday. I have around $12K into it so asking $10K firm. a Baja without a stinger exhaust is just sacrilegious. Rear suspension looks like it's working pretty hard under that weight. The beauty of a Baja Bug is when it can soak up the whoops like a boss. This one doesn't have any bump travel left!